This Privacy notice forms part of our Terms and Conditions (the “Terms”) and should be read together with such Terms and Conditions. It includes our Privacy Terms. At ST JAMES we respect your privacy and we want to do everything that we can to keep your personal information safe. We will only collect and hold as much information as is needed to provide services to you and to comply with our legal obligations. We will only share your personal information outside of ST JAMES to fulfil the terms of our services to you or where we are legally required to do so. We will never sell your personal information to anyone. All personal information will be held and processed by ST JAMES in accordance with the Data Protection (Bailiwick of Guernsey) Law, 2017 and other applicable data protection rules. We collect basic contact information such as name, address and email address when you sign up for our Newsletters and Diaries or become Members or Friends of St James. We also collect bank details and/or debit/credit card details when you apply for memberships or for tickets for Events. Log information – Our web servers will automatically collect and store data for each request made. This includes device information, dates and times, your IP address and browser information. Cookies – We place cookies on your device to store information related to your use of the websites. Further details about Cookies are provided below. Third party services – We use services such as Google Analytics to monitor usage of our websites. This service places a cookie on your device to record your interaction with our websites. The service also collects non-identifiable information related to your use of our site such as device and browser information. We use this data to help improve our websites structure and delivery of information. If you have agreed to be on our mailing list, we use your contact details to keep you informed of future Events and with news about ST JAMES. If you have purchased tickets for Events we hold your contact details and banking/credit/debit card details to confirm your purchase. Other information gathered from your usage of the website is used to identify browsing patterns and trends. We also use log information to identify any potential problems with our services. How long is it held? Your personal information is held for only as long as it is needed to perform the terms of our contracts with you. In some cases, legal requirements dictate that we continue to keep some records until a period of time has elapsed. Your information will be deleted, destroyed, or returned when we no longer have a legitimate business reason to retain it. If you would like to be removed from our mailing list, please click here. How can I get more details? To contact us for more information about this Privacy Notice or the treatment of any personal information which you have provided to the website, if you wish to be removed from the ST JAMES email list, or to update the personal information which you have provided to the website, please email us admin@stjames.gg. You must read our Privacy Terms which sets out the way in which your personal data is handled. SUBJECT TO THE FOREGOING AND TO THE FULLEST EXTENT PERMITTED BY APPLICABLE LAWS, NEITHER ST JAMES NOR ANY OF ITS DIRECTORS, EMPLOYEES, AFFILIATES OR OTHER REPRESENTATIVES WILL BE LIABLE TO YOU FOR ANY LOSS OR DAMAGES (WHETHER DIRECT OR INDIRECT AND WHETHER CAUSED BY NEGLIGENCE OR OTHERWISE) ARISING OUT OF OR IN CONNECTION WITH THE USE OF, OR INABILITY TO USE, THE MATERIALS IN AND/OR FACILITIES OR SERVICES OFFERED THROUGH THE SITE, INCLUDING, BUT NOT LIMITED TO, INDIRECT, SPECIAL OR CONSEQUENTIAL LOSS OR DAMAGES, LOSS OF DATA, INCOME, PROFIT OR OPPORTUNITY, LOSS OF OR DAMAGE TO PROPERTY AND CLAIMS OF THIRD PARTIES (EVEN IF ST JAMES HAS BEEN ADVISED OF THE POSSIBILITY OF SUCH LOSS OR DAMAGES, OR SUCH LOSS OR DAMAGES WERE REASONABLY FORESEEABLE). IN PARTICULAR, WE HAVE NO LIABILITY FOR ANY LOSS OR DAMAGE ARISING OUT OF OR IN CONNECTION WITH: YOUR INABILITY TO USE OUR SITE OR ANY FAILURE OF PERFORMANCE, ERROR, OMISSION, INTERRUPTION, DELETION, DEFECT, DELAY IN OPERATION OR TRANSMISSION, COMPUTER VIRUS OR COMMUNICATION LINE FAILURE IN RELATION TO OUR SITE, NOR ANY THEFT OR DESTRUCTION OR UNAUTHORIZED ACCESS TO, ALTERATION OF, OR USE OF ANY RECORD, INFORMATION OR CONTENT, INCLUDING YOUR CONTENT. You agree that we have no responsibility or liability for the deletion or failure to store any content, information or materials that you communicate to us through our Site, including any Forum or blog (“Your Content”) nor for any errors in Your Content. IF THIS CLAUSE IS UNENFORCEABLE IN WHOLE OR IN PART, THEN IN NO EVENT SHALL THE TOTAL LIABILITY TO YOU OF ST JAMES OR ANY OF ITS DIRECTORS, EMPLOYEES, AFFILIATES OR OTHER REPRESENTATIVES FOR ALL DAMAGES, LOSSES, AND CLAIMS (WHETHER IN CONTRACT, TORT (INCLUDING, BUT NOT LIMITED TO, NEGLIGENCE), OR OTHERWISE) EXCEED THE AMOUNT PAID BY YOU, IF ANY, FOR ACCESSING THE SITE. You must comply with these Terms at all times when using our Site and you must take all reasonable precautions to avoid infringing any third party’s rights in the use of our Site, including the communication of Your Content to our Site. You will be liable for any foreseeable and reasonable costs incurred by us in defending any action in respect of a claim resulting from your breach or alleged breach of these Terms, if reasonable precautions were not taken by you. You agree to defend, indemnify and hold ST JAMES and all of its associate companies, its directors, officers, partners, employees, information providers, licensors and licensees and agents harmless from and against all liabilities, claims, damages, costs and expenses, including without limitation legal fees and costs arising out of your use of the Site, Your Content, or your violation, breach or alleged violation or breach of these Terms. » The Site contains links to other Internet sites on the World Wide Web, which lead you out of our Site. We provide such links for your convenience and information only. We cannot ensure that you will be satisfied with any products or services that you purchase from a third-party site that links to or from any ST JAMES website or for any third-party content on our sites. We may update these Terms to accord with our standard contractual provisions at any time. We will post our most recent version of these Terms on our Site. We may also add to, change or remove any part of these Terms.  This website, https://www.stjames.gg (the “Website”), is operated by St James. Cookies are a small text files that are stored in your web browser that allows St James or a third party to recognize you. Cookies can be used to collect, store and share bits of information about your activities across websites, including on St James website. St James uses both session cookies and persistent cookies.